From the constantly-changing cultural hotspot in Pittsburgh to the monochrome fine dining establishment in Mexico to the rural Louisiana general store that sells both steaks and toilet paper, I had an opportunity to eat at a bunch of interesting places over the past 12 months. 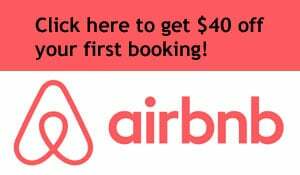 Regular readers know that I freely acknowledge not being the most sophisticated foodie in the world, but I always enjoy discovering unique and offbeat restaurants while traveling, places that stand out from the rest. And while “interesting” doesn’t necessarily equal “good,” I can say that I did enjoy my meals at each location listed. These were the six most interesting restaurants I dined at in 2014. Conflict Kitchen is a brilliant concept. 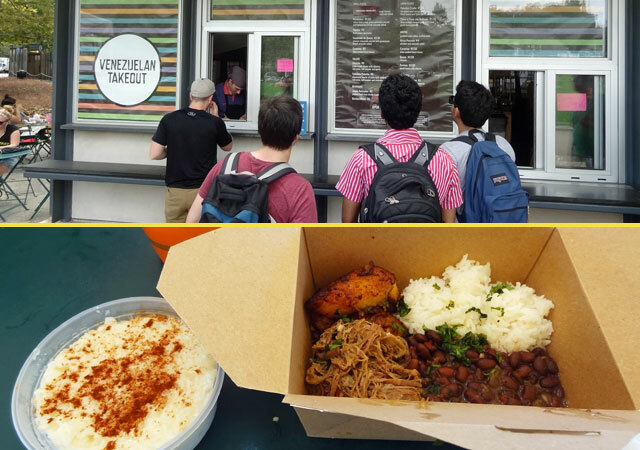 This nationally-recognized outdoor food stand only serves food from countries the U.S. is in conflict with. Every month, it’s a new nation. Past editions have included cuisine from Afghanistan, Iran, North Korea, and Cuba. When I visited this summer, the focus was Venezuela, so I got to enjoy shredded beef with beans, plantains, and rice pudding. 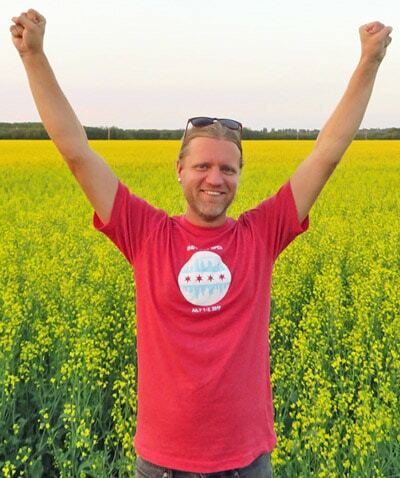 The restaurant’s mission goes way beyond just food. CK holds regular discussion panels in which people from the countries in question interact with attendees, discussing politics, culture, and their everyday lives. Sometimes, the panels create a bit of controversy, like earlier this year when some locals were upset with the kitchen’s focus on Palestinian cuisine, but most open-minded folks recognize the value in learning about marginalized cultures and countries. Conflict Kitchen is yet another reason why I love my hometown of Pittsburgh. 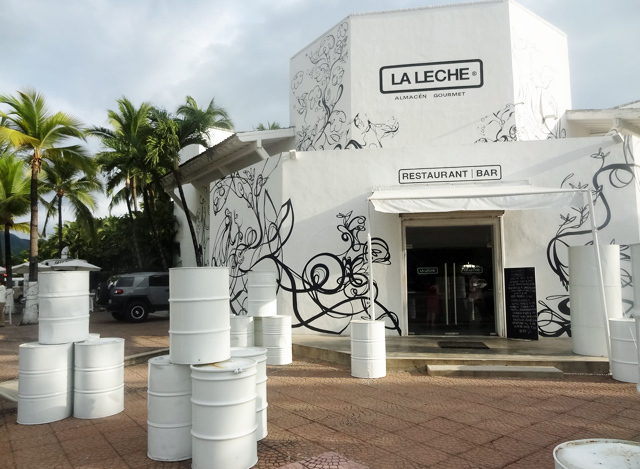 In Puerto Vallarta, Mexico, I discovered the wondrously white establishment La Leche, which features totally white walls, tables, and chairs, in addition to an ever-changing menu of innovative dishes using local ingredients. Where else could you possibly get an escargot quesadilla? The lychee, mango, and guava margaritas are awesome as well. As cool as the all-white main dining room is, the upstairs bar is even cooler because all the furniture and decorations up there are black. Even the lighting is dim. 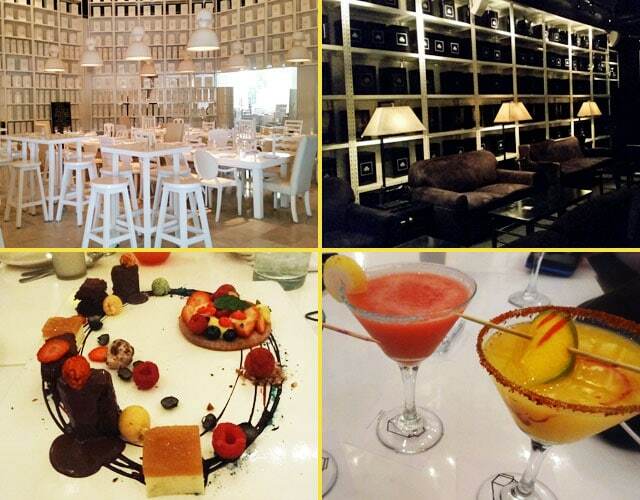 The dark lounge is the polar opposite of the downstairs area and maintains the restaurant’s winning monochrome color scheme. 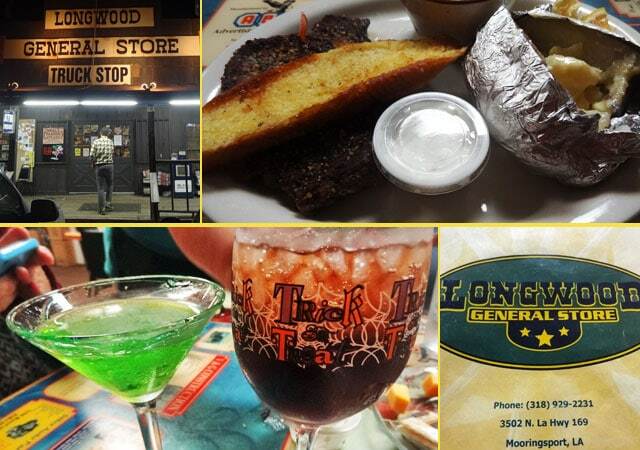 Of the many offbeat restaurants I visited in the Shreveport area, none could match the endearing wackiness of Longwood General Store. Picture the basic setup: It’s a general store with aisles of groceries and household supplies like toilet paper, laundry detergent, and shaving cream. In the middle of those aisles are tables where people can eat dinner, since the store also doubles as a restaurant. It’s very strange eating a ribeye next to shelves of dish detergent, but the steaks are delicious (and massive), so the unusual setup gets quickly overlooked. Longwood has a rotating daily menu of alcoholic drinks featuring special touches dreamed up by Tammie, who serves drinks here and at the attached casino. When I stopped by in October, all the adult beverages were Halloween-themed. Offerings included the Dracula’s Kiss (Cherry Coke and liqueur with a “bloody” red syrup around the rim), the Ghostbuster (peach schnapps with a “ghostly” white cream on top), and the Bleeding Heart Martini (which featured a beet with a wooden stake through it to represent the heart.) What fantastically original concoctions! Is it possible that some of the nation’s most creative mixologists are lurking in obscurity in a general store in rural Louisiana? This satisfied lush says yes. And did I mention that the cocktails were only $3 each? Score! Teetotalers, don’t despair – the food is surprisingly good, so you’ll get your money’s worth even without boozing it up. For as many tacos, burritos, and enchiladas as I consume on a regular basis, I’m practically an honorary Mexican at this point. 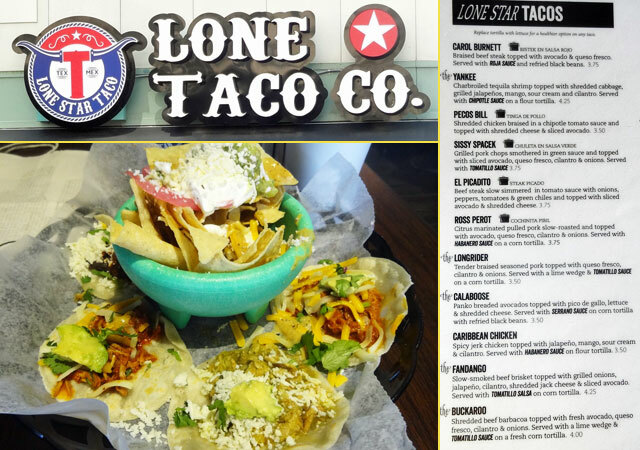 Lone Star Taco in Houston isn’t traditional Mexican, and that’s fine – it’s fast-casual Tex-Mex, sort of like a hipper version of Chipotle, with a much longer and more ambitious menu. In terms of originality, Chipotle can’t possibly compete with dishes like these: The Ross Perot Taco, made of citrus-marinated pork, onions, and fire-breathin’ habanero sauce, in honor of its namesake; the Carol Burnett, a taco comprised of braised beef, avocado, and black beans; and the Sissy Spacek, a pork chop taco with green and tomatillo sauces. My mouth is watering just thinking about these tacos again. Someday, I’ll visit you again, Lone Star Taco. 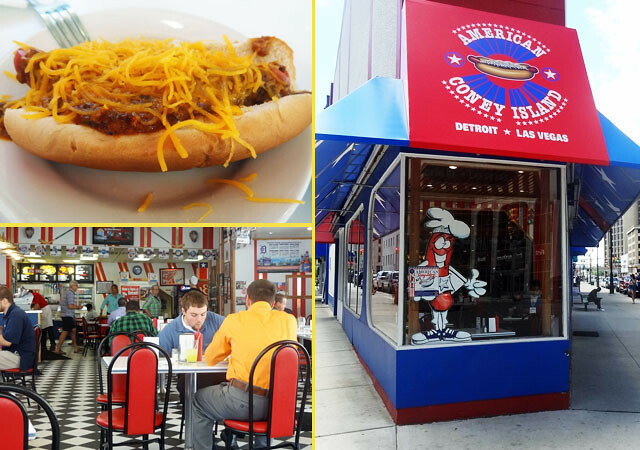 Any business that’s been around since 1917 deserves props, so even though I’m not a big hot dog fan, I visited American Coney Island in Detroit to get a taste of one of the city’s oldest culinary establishments. I can see the appeal – the dogs were tasty and were loaded with a mountain of cheese, while the chili was hearty. Part of what made my visit to the downtown location interesting was the old-timey interior design of the store, featuring black and white checkered tile floors and a decor that could be generously regarded as “retro.” It feels like a time warp back to the ’60s or ’70s, and that’s a cool vibe to experience in these modern times. The name says it all. This fast casual establishment (best for take-out) serves only food made from turkey. They’ve got it all: Turkey burgers, Italian turkey sandwiches, turkey lasagna, turkey ribs, turkey chili, turkey tacos, turkey wraps, turkey dogs, turkey salad, and a delicious fermented turkey drink. I’m kidding about that last one, but don’t be surprised if they’ve got something like that in the works. 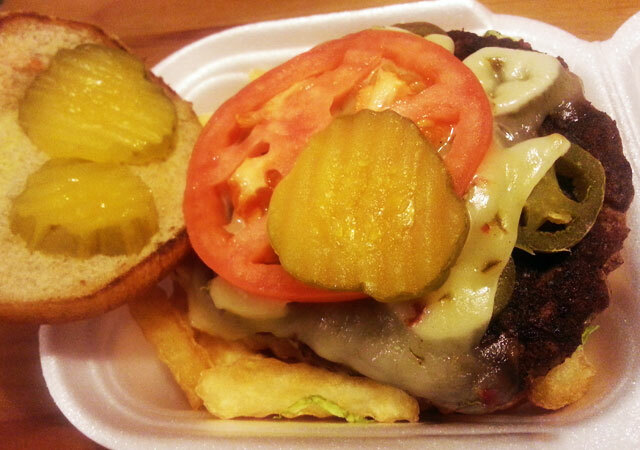 I enjoyed the jalapeno turkey burger and the turkey tips with fries, which were smothered in a smoky sauce. Where was the most interesting place you ate in 2014? Conflict Kitchen, what an awesome idea! If I ever make it to Pittsburgh I will have to check it out. Conflict Kitchen is a must-visit every time I’m in Pittsburgh! I’ve always wanted to visit Conflict Kitchen. Talk about a neat and thought provoking concept! Was bummed to miss it when I drove through Pittsburgh earlier this year – we stopped at Primanti Bros. instead. I somehow never made it to Conflict Kitchen when I lived in Pittsburgh, but it’s one of my favorite spots to visit now. Primanti’s is a worthwhile stop too! I live here in Puerto Vallarta so I know La Leche well…it is super cool. The all white interior makes you feel like you’re in a dream! Yes, I love that interior too!